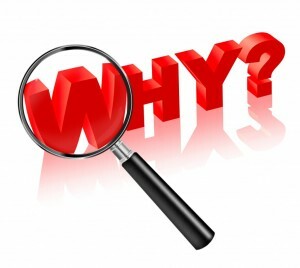 Do You Know Your “Powerful Why”? Being successful in today’s world takes focus. It takes a high level of motivation. And it takes discipline. It takes a daily commitment to staying focused on the results you want, and engaging in the habits and behaviors that will take you there. It takes saying “no” to excuses, and “yes” to powerful action. It requires the ability not to get distracted by “bright shiny objects,” and the ability to tune out the people who try to pull you off course. None of this is easy. Yet all of it is necessary if you want to achieve the success you crave. And then I found the answer—while watching The Biggest Loser. 2017 nfl jerseys for sale best sellers a michael kors bag sac a main “>On one episode, three former contestants came back to help the trainers work out the three teams. Marci Crozier, a former contestant who is now healthy, fit, and radiant, challenged the team she was working with to look for their “powerful why.” She explained that being really clear on this “why” would help them stay motivated each day to do what it took. Your “why” is your driving force. It’s what gets you up in the morning. It’s the purpose behind all that you do. It’s the reason you want success in the first place. It’s what keeps you going when times are great, monster beats cheap charger ugg outlet boots baltimore and helps you be resilient when disaster strikes. It keeps you going when you feel like quitting, and inspires you toward growth and innovation. • Why do I want to achieve this? • How will achieving this enrich my life? Enrich others? • Why is that important to me? And why is that important to me? Spend some time on this over the next few days. Get clarity. Know what your “why” is. Then, let it fuel your success! You Need to Own Your Power Before You Can Own the Room!